“Canada was the home to the first university courses to be taught in the field of anthropology. Three decades before Edward Burnett Tylor—the so-called “founder” of anthropology, became the first Reader in Anthropology at Oxford in 1884, and before Franz Boas taught anthropology at Clark University in 1888, before he founded the Department of Anthropology at Columbia—Sir Daniel Wilson was teaching courses in ethnology/anthropology at the University of Toronto from 1855. In terms of anthropological theory, much of what Wilson produced, followed soon after by Horatio Hale, preceded or challenged related schools of thought that would emerge later in the US and UK”. Historicizing Canadian Anthropology never makes matters quite so clear in its pages, let alone opening the book with these facts.1 Instead, the book immediately invokes the ghost of “essentialism” and speaks of a “definition” of Canadian anthropology—a definition that nowhere appears in the entire book. (Imagine having to worry about an absent definition being too essentialist.) In addition, by shifting the discussion at the outset into the realm of “identity” dilemmas (real or imagined), the political economy of knowledge production is thus shunted aside (although it does reappear late in the volume). What students of anthropology in Canada ought to be taught (and which usually they are not), is the history of anthropology and of anthropological theory in Canada. Besides being the world’s oldest university-based anthropology, anthropology in Canada was also rare and distinct in not having been funded and enabled by any Rockefeller philanthropy. It was institutionalized independently, and somewhat marginally, and in most universities where it existed (a handful up the 1960s), it was often housed in multi-disciplinary social science departments. Before Franz Boas became a university-based anthropologist, first at Clark University then at Columbia University, and before E.B. Tylor assumed his position as an anthropologist at Oxford University, Sir Daniel Wilson became the world’s first university-based professional, lecturing, researching, and writing on explicitly anthropological topics. Both Wilson, then Hale soon after, pioneered an intellectual tradition that was a precursor to developments that would come later in the US, in part because Franz Boas, who worked first in Canada under Hale, apparently borrowed those ideas and is accused of failing to credit his mentor (Nock, 2006, p. 47). Some of the key theoretical developments given shape by Wilson and then Hale include: an anti-racist and a non-linear theory of cultural evolution; cultural relativism; a multi-field approach (linguistics, archaeology); and, salvage ethnography. In addition, the Canadians were deeply embedded in public communications, would frequently address public audiences at schools, libraries, museums, or in the press, and in this sense they innovated a form of “public anthropology” before the phrase even existed. The first courses in anthropology offered in any university in the world, were offered in Canada (taught by Sir Daniel Wilson). See Van Esterik (2006, p. 261). The first professional, university-based anthropologist was Daniel Wilson (Hancock, 2006, p. 36). The first PhD in Anthropology in all of North America was earned by A.F. Chamberlain, a Canadian (Cole, 1973, p. 40). The term “prehistory” was first coined by Daniel Wilson (Cole, 1973, pp. 33, 35). Daniel Wilson did not accept the idea of either unilineal or unidirectional evolution (Trigger, 1966a, p. 13); Hale; rejected evolutionary stage theory (Cole, 1973, p. 39). Daniel Wilson argued that it was possible for a society to pass from a more advanced to a more primitive state, thus breaking with the teleology of cultural evolutionism (Trigger, 1966a, p. 13). Daniel Wilson rejected the theory that one could explain cultural and even linguistic differences in terms of racial variation (Trigger, 1966a, p. 21). Daniel Wilson demonstrated that cranial capacity did not provide a gauge of intellectual capacity, countering the assumptions of early physical anthropology (Cole, 1973, p. 35). Daniel Wilson argued that “primitive peoples” have the same intellectual capacities as “civilized” peoples, “and he refused to consider the state of a culture’s development to be an indication of the intellectual ability of its members” (Trigger, 1966a, p. 12). What came to be known elsewhere as “cultural relativism” was developed first in Canada, in the works of both Wilson and Hale (Trigger, 1966a, p. 14; Cole, 1973, p. 39). There was a strong critique of racism as found in the American School of Ethnology, by Daniel Wilson (Trigger, 1966a, p. 15); Horatio Hale likewise criticized ethnocentric prejudice, at a time when such prejudice was a foundation of British and US ethnology (Cole, 1973, p. 39). Wilson particularly, and to some extent Hale, either had strained or distant relationships with their US counterparts (Trigger, 1966a, pp. 23, 26). There was, at best, a remote connection to European intellectual currents of the time (Trigger 1966a, p. 23). Canada laid the foundations for Boasian anthropology, which influenced the development of US anthropology: research done by Boas in Canada, under Canadian supervision, focused on salvage ethnography, and on questions of cultural transplantation, hybridization, and demographic migration (Cole, 1973, p. 33; Hancock, 2006, pp. 32–33; Nock, 2006, p. 44). In terms of the history of cultural imperialism (and its academic component), the Canadian case offers some unusual lessons. While memory of early Canadian anthropology has generally been erased, and replaced by anthropology imported primarily from the US and Britain, there was no clear attempt to impose foreign anthropology on Canadian universities. The history of anthropology in Canada is more one of imitation and importation, than imposition—and I am resisting the temptation to compare this to the cargo cult phenomenon. It’s true that some of the historical erasure is thanks to US anthropologists writing selective and self-flattering histories of the discipline, but they clearly had no power to make Canadians forget their own history. What we can safely say is that thanks to an aborted Canadian tradition, the door was opened to US and British anthropology, and these two centres of power have exercised considerable influence. What follows are just some notes on the careers of Daniel Wilson and Horatio Hale that extend some of the points listed above. 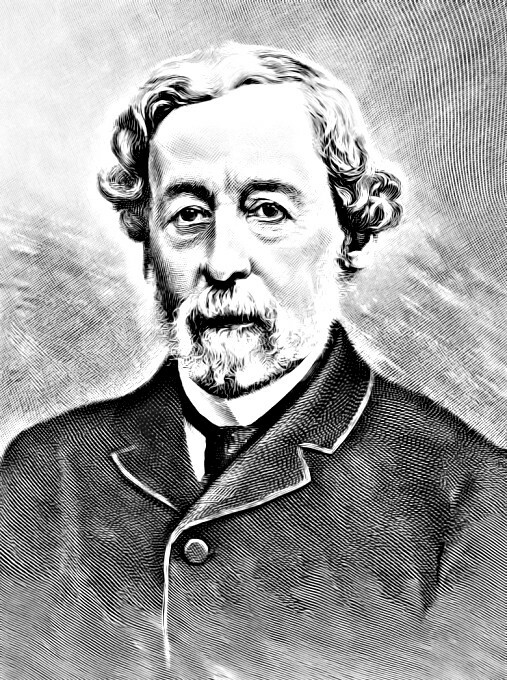 Daniel Wilson took up a position in Toronto, as Professor of History and English Literature at what was then called University College, Toronto, in 1853 where he worked until 1892. What became the University of Toronto, under Wilson’s leadership as its president, was the home of North America’s oldest school of anthropology. As Bruce Trigger put it, Wilson was a “a man who in terms of his scholarship and productivity was a professional anthropologist in all but name” (1966b, p. 351). As mentioned before, Sir Daniel Wilson offered the first courses in ethnology in the world—ethnology being the forerunner of what we now usually call anthropology, and Wilson’s publications on “anthropology” cemented that link. In 1855, he offered a regular course of instruction in history and ethnology in the third year of the program in History and English Literature (see Van Esterik, 2006, p. 261). The calendar of 1860 offers prizes in ‘modern languages and history, including ethnology,’ and ‘ethics and metaphysics with civil polity and history, including ethnology’. By 1862, he added his own book Prehistoric Man to his course reading, along with Latham’s Ethnology of Europe (1853) and his Ethnology of the British Isles (1852), Niebuhr’s Ethnography (1853), Muller’s Science of Language (1864), Brace’s Manual of Ethnology (1870), Prichard’s ‘On the Relation of Ethnology to Other Branches of Knowledge’ (1848), and his Researches into the Physical History of Mankind (1813). I agree with Van Esterik that “we can speculate from the books selected that Wilson’s courses would have stressed a view of human progress that combined ethnological, linguistic, and archaeological evidence” (2006, p. 261), but I would disagree with her in characterizing him as a progressivist. Prehistoric Man dealt with all the major fields subsequently recognized as part of anthropology—ethnology, prehistory, physical anthropology, and linguistics. Wilson maintained irregular, distant, and sometimes strained relationships with his counterparts in the US and Europe. Those who have researched his career, credit his work as having been developed in relative isolation, and certainly in greater isolation than would now be possible, given the absence of air travel and telecommunications. Some of today’s students are skeptical that one could ever achieve isolation in Toronto, which is now perceived to be Canada’s leading metropolis. 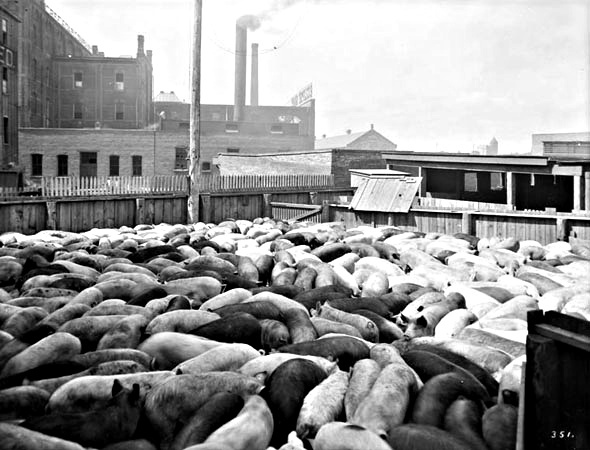 However, one needs to be reminded that, up until the 1980s, what was once not affectionately referred to as “Hog Town” (the charitable interpretation is that this was due to the “city” being dominated by pork processing plants, with pigs known to sometimes roam the streets) was a peripheral and bleak place even by Canadian standards—Canada’s leading international city until that time was Montreal. Wilson’s “relationship with American anthropology was…somewhat strained” (Van Esterik, 2006, p. 261), apart from instances such as his delivering an address on physical ethnology at the Smithsonian in 1862, or his joining the American Philosophical Society. As Van Esterik shows, Wilson was critical of the American School of Ethnology, whose members he judged to be “racist in their views of Amerindians and Blacks”—and, “because of his antipathy, while Wilson corresponded with Morgan and other American anthropologists, he never developed close personal ties with them” (Van Esterik, 2006, p. 262). When it came to his US colleagues, Daniel Wilson apparently liked their libraries more than their intellects. As Trigger found, “his references to these American visits mention collections and sites rather than the scholars he met” (1966a, p. 23). While Wilson “recognized Morgan as ‘the historian of the Iroquois’ and corresponded with him, he manifested with his silence the same disregard for Morgan’s theoretical works as did the contemporary ethnologists in Britain” (Trigger, 1966a, p. 23). In addition, Wilson was also largely “cut off by distance from direct contacts with British anthropologists” (Van Esterik, 2006, p. 262), though he was a member of the Anthropological Society of London. It was only through books and the rare visit that Wilson could be kept informed of intellectual developments in Britain. Therefore, as Van Esterik concludes: “Wilson’s anthropology thus developed in considerable isolation” (2006, p. 262). “In a very real sense,” Bruce Trigger concluded, “Wilson’s anthropology was forced to develop in isolation” (1966a, p. 23). Unlike his British counterparts, Wilson’s anthropology displayed an “almost total lack of interest in studies of kinship and the development of primitive social structure, which played such an important role in contemporary anthropology outside of Canada” (Trigger, 1966a, p. 23). Wilson also did not do any systematic ethnographic research. If there was ever a question asked such as, “Can you have anthropology without ethnography or studies of kinship?”—then the obvious answer from Wilson would be that one certainly could, and indeed that’s how anthropology began in Canada. It’s also striking that in the 400 pages of Vol. 1 of Wilson’s Prehistoric Man, the term “culture” only appears twice. In his criticisms of scientific racism and how native peoples had been depicted by US ethnologists, Wilson presented a view that is a basic form of cultural relativism, before this became acceptable in the US. He repeatedly took pains to point out that, “the cruelty commonly attributed to the Caribs, Papuans, and Aztecs should be regarded as a sign of ‘primitive vigour’. Similar behaviour he pointed out had characterized the Vikings and Hungarians in earlier times, and all too often the people who despise modern primitive tribes for their cruelty, admire much the same kind of behaviour in their own ancestors” (Trigger, 1966a, p. 14). Wilson rejected the notion that racial inter-breeding was harmful, and pointed to the lack of evidence to support such a position, and yet plenty of evidence to contradict it (Trigger, 1966a, p. 15). What also stands out about Wilson is that, well before it became instituted in the US as the four-field approach to anthropology, his research interests spanned what we now refer to as archaeology, biology, language, and culture. I also want to mention another figure at the University of Toronto, A.F. Chamberlain. Born in Britain, but raised in Peterborough, Ontario, Chamberlain attended the University of Toronto in the mid-1880s, and came under Wilson’s influence (Cole, 1973, p. 40). Chamberlain then did a study of the Mississaga nation for his MA in 1889. During this Toronto period he gave a number of presentations before the Canadian Institute of Toronto on the origin of the Indian and Eskimo. With Wilson’s recommendation, Chamberlain went to Clark University in Worchester, Massachusetts, to study under Franz Boas. Receiving his PhD in anthropology under Franz Boas for further work on the Mississaga, Chamberlain’s was the first such degree at a North American university (Cole, 1973, p. 40). After Wilson died in 1892, the University of Toronto struggled to find an adequate successor. In 1919 the first chair in anthropology at a Canadian university was created at St. Michael’s College, and Sir Bertram Windle, whose diverse interests included archaeology, was invited to be the occupant (Barker, 1987, p. 253). As interest in the subject increased, Sir Bertram was appointed as Special Lecturer in Ethnology by the University of Toronto in 1922. That same year the Senate passed a resolution in favour of creating a Department of Anthropology. But between 1905 and 1919, no courses in ethnology or anthropology were offered. In fact, the next set of courses in anthropology offered at the University of Toronto first reappears in the calendar for 1926-27, which reflected the hiring of Thomas McIlwraith, who was trained at Cambridge under A.C. Haddon and W.H.R. Rivers, and he used their texts in his courses in Toronto (Barker, 1987, p. 254; Van Esterik, 2006, p. 262). What does stand out as different, even in these later years at the University of Toronto—is the degree to which anthropology communicated with the broader public outside the university, and with multiple disciplines within the university. Wilson’s immediate successor, Sir Betram Windle gave a dozen public lectures on the “manners and customs of peoples of the world” (Van Esterik, 2006, p. 262). The Canadian Institute of Toronto partnered with U of T ethnologists, and as early as 1852 had called upon the public to take part in documenting archaeological sites and developing its museum—the Canadian Institute’s own interest in anthropology was assisted by the arrival of Daniel Wilson in 1853 (Hamilton, 2006, p. 67). Within U of T, anthropology maintained an outward orientation, as anthropology courses were also offered as a service to various social science departments at U of T, and to the Faculty of Medicine (Van Esterik, 2006, p. 263). Horatio Hale was born on May 3, 1817 in Newport, New Hampshire. He died in Clinton, Ontario, on December 28, 1896, having immigrated to Canada in 1856 shortly after his marriage to a Canadian, Margaret Pugh (Nock, 2006, p. 44). 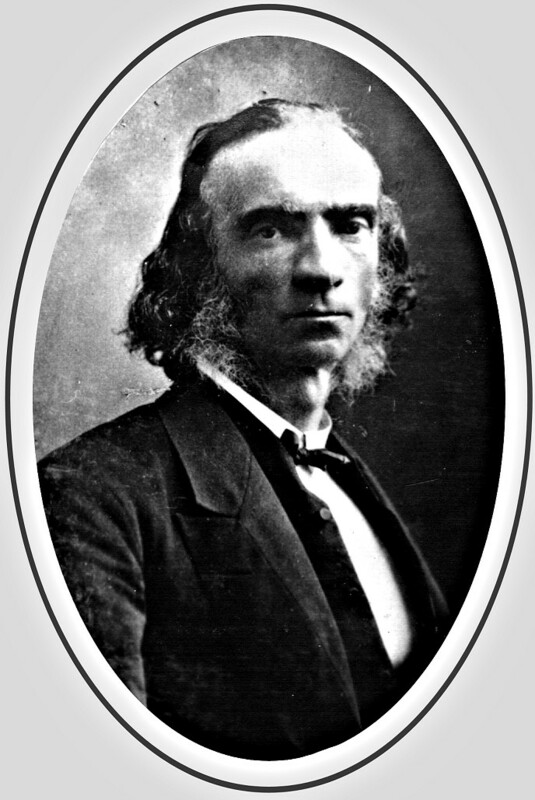 A friend of Daniel Wilson’s, Horatio Hale became a significant figure in Canadian anthropology. Educated at Harvard, he became a philologist and ethnologist assigned to the Wilkes Pacific Expedition of 1837–1842, subsequently publishing a major contribution on Polynesian and American ethnology. His work in the Oregon Territory led to the publication of his massive book Ethnology and Philology in 1846—“it was once acknowledged to be one of the most valuable works of the kind then known” (Nock, 2006, p. 44). Starting in the late 1860s, Hale began to work with various chiefs of the Six Nations, furthering his interest in the League of the Six Nations (Nock, 2006, p. 45). He prolifically reengaged with anthropological research in the 1870s. From the late 1860s he was absorbed into the Canadian scientific community, maintaining his avid interest in Iroquois studies. During his life Hale published over forty articles and books (Nock, 2006, p. 46). In 1881, he began again his publications in his fields of philology and ethnology. His book The Iroquois Books of Rites (1883) “established him as second only to Lewis Henry Morgan as an Iroquoianist in the eyes of his contemporaries” (Nock, 2006, p. 46). Hale assumed prominent leadership roles in various learned societies. He became a member of the American Philosophical Society (1872), president of the American Folklore Society (1893), a fellow of the Royal Society of Canada (1889), vice president of Section H (Anthropology) of the American Association for the Advancement of Science (1886), and a member of the British Association for the Advancement of Science and secretary and later research director of its committee established to investigate the Indians of the Canadian Northwest (1884) (Nock, 2006, p. 46). Hale also attacked the developmental stage theory of evolutionary progress. The principal weakness of evolutionary theory for Hale was its assumption that social, political, religious, and cultural institutions were always on the same level as the economic system of production (Nock, 2006, p. 46). But Hale observed that sophisticated languages could emerge among peoples whose material and economic institutions appeared much more basic (Cole, 1973, p. 37). Like Wilson, Hale also became relatively isolated from his American counterparts. Through Wilson and Hale, with the aid of the Canadian Institute and the Royal Society of Canada, and various local media which helped to popularize their work, what emerged was the beginnings of a Canadian school that was concerned primarily with Canadian problems. British anthropologists had little or no interest in Canada, and Canada remained relatively insulated from the influences that dominated American anthropology. Hale was probably a direct source of inspiration for Boas and what became the Boasian tradition that dominated and defined US anthropology for decades (Cole, 1973, pp. 39–40). In what context did this influence take shape? A Committee on the North-western Tribes of Canada was formed by the British Association for the Advancement of Science in 1884. Its research director was Horatio Hale. It was under this committee that Franz Boas’ work in Canada was initiated and which later paved the way for his dominance over the discipline in North America (Nock, 2006, p. 46). This dominance was sealed by the appointment of one of Boas’ leading students, Edward Sapir, as head of the new Anthropology Division of the Geological Survey of Canada, located in the National Museum in Ottawa. Boas, a PhD in his 30s when he worked in Canada, did not take kindly to being directed by an elderly man without academic credentials and with little academic capital (Nock, 2006, p. 45). Horatio Hale’s work was largely ignored because when Franz Boas became an influential scholar, he refused to acknowledge Hale’s contributions, largely erasing Hale’s place in the discipline’s history. Thus a North American and specifically Canadian provenance of some of Boas’ formative ideas is rarely given a hearing, especially the influence of Horatio Hale, Boas’ supervisor in Canada (Nock, 2006, p. 44). Hale lacked Boas’ same wealth of academic contacts, publishing his volume Ethnology and Philology when few universities hired in anthropology-related fields (Nock, 2006, p. 45). He was unable to secure a university position, and thus was never positioned to establish a legacy through teaching graduate students. Hale never achieved a following apart from an audience among missionaries, becoming like one of many so-called amateur ethnographers who were gradually “drummed out of the anthropological profession” (Nock, 2006, p. 45). 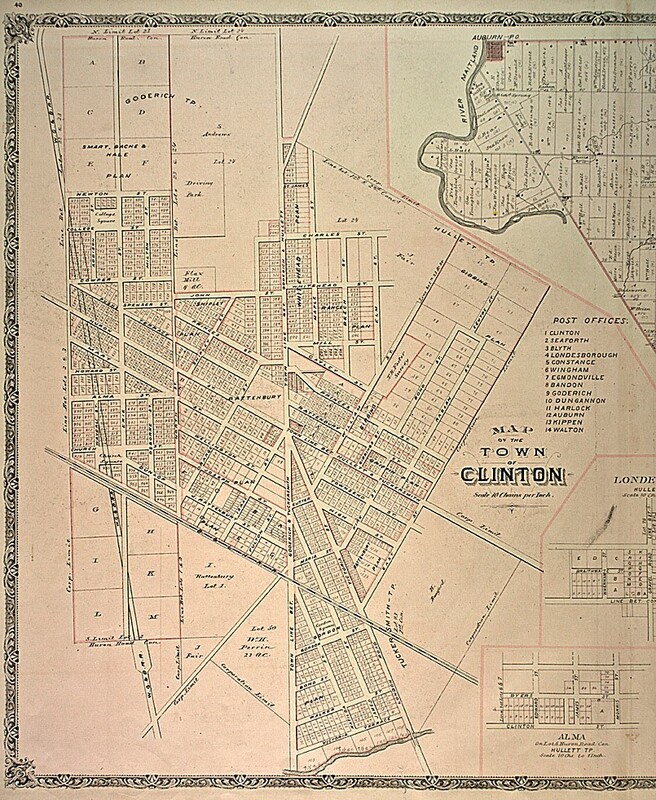 Plan of the town of Clinton, Ontario: Horatio Hale was one of the three persons who produced this. Click on the image to enlarge. The contours and surface area of the town have barely changed since the mid-1800s, and the population size is only marginally higher. Boas achieved academic security in 1899 at Columbia, one of a few high-status universities in the US, located in the leading metropolis of the country. In contrast, Hale lived in Canada, a peripheral nation spawned by British empire, and dominated by the US empire. Not only did Hale live in Canada, he lived specifically in Clinton, Ontario, a small town that has barely increased in size since his time, retaining roughly the same shape, with a number of the streets there being those named by Hale himself. Needless to say, the town of Clinton was even peripheral to the semi-peripheral and distant centres of higher education in Canada, such as Toronto and Montreal (Nock, 2006, p. 45). Boas’ private correspondence contains a number of cutting references to the older Hale (Nock, 2006, p. 45). Yet Boas’ public declarations in his Hale obituaries of 1896 and 1897 expressed praise: “His descriptive phrases are all laudatory, using such wording as ‘most interesting and important,’ ‘masterly treatment,’ ‘keen insight,’ and ‘well-conceived’” (Nock, 2006, p. 47). However, once he was secure at Columbia a few years later, Boas no longer made even passing mention of Hale. Instead Boas helped to fashion his own myth of himself as a visionary, founding figure, and not one who received inspiration from an “earlier patriarch” (Nock, 2006, p. 45). Multi-disciplinary: anthropology in Canada did not originate as an independent discipline. It was always, from its earliest beginnings, part of a field of inquiry conducted by multiple disciplines. Even when institutionalized in universities, Canadian anthropology was housed in multi-disciplinary schools of social science, and to this day about a third of all anthropology programs in Canada remain wed to sociology. As I have said before, I have yet to work in an actual “Department of Anthropology” as such, in Canada. Public communication: Wilson, Hale, and their contemporaries saw their teaching mission as extending to public lectures in schools, museums, and seminaries. They sought out the press. This was done as if a normal part of the routine, which upsets any preconception of the Canadian university as always and only an “ivory tower” institution (which is largely a myth). History: Wilson’s work shows a keen interest in grasping large sweeps of time, in seeing cycles where others saw unidirectional progress. This interest in rise and fall is also well suited to the study of empires. Large spaces, large movements: Wilson’s focus on the encounters of large masses of different peoples, brought from different continents, complimented his interest in long time frames. No kinship: this was particularly refreshing to me, since I often encounter the assumption that anthropologists all know something about kinship, and ought to. In my case, I managed to get a PhD in Anthropology, and become a full professor in the field, without ever having taken a single course on kinship. I like Wilson. Independent of the US: I was especially impressed by Wilson’s apparent disdain for his US colleagues, and for feeling quite free to develop his own work without making regular pilgrimages to meetings of US anthropologists and hanging on their every word. This desire for intellectual independence is something that ought to inspire Canadian anthropologists, so that they realize that the dominant questions, prevailing fads, the jargon and styles of US anthropologists need not serve as their frame of reference. Let’s ask our own questions, and develop our own ways of answering them. A) Distance from origins: though both Wilson and Hale were schooled in Europe and the US respectively, they also grew apart from those original experiences, with both time and distance, until they were no longer in the mainstream of circulating currents in those places. B) Filtered memories: with time, what was once very influential in one’s intellectual formation, can become rarely revisited sediment, or it can even be lost. When I think of my own growth, I can attest to the fact that I grew up speaking only Italian for the first six or seven years of my life, and I spoke English with a thick accent—I now speak Italian, hesitantly, and with an English accent. When I learned Spanish, it colonized my memories of Italian, so I now make Spanish mistakes in Italian. In secondary school I absolutely adored calculus, and became a master of it, almost never getting less than 100% on exams—I can no longer remember what the symbols even mean. C) Aberrant mutations: mutations perform a vital role in any evolutionary process. There can be epistemic mutations as well, that thrive in isolation, especially given free space in which to grow. Dialogue is very important, but so is a period of silence. Silence can perform a role similar to radioactivity, in transformings ideas that were barely held consciously and which suddenly come to the fore in a new shape. D) Relative isolation: neither Wilson nor Hale were formed in isolation from the centres of learning. However, what both did, as mentioned several times already, is mature in later years apart from such centres. This may not have caused them to think independently, but it was certainly present in the process. E) Instability, chaos, upheaval: without wishing to sound too melodramatic, it’s clear that both Wilson and Hale underwent some difficult separations and transitions, finding themselves in unfamiliar surroundings, far from home, yet making a new home for themselves. Hale married a Canadian, integrated into his community, and immersed himself in local research. Wilson’s mind shifted from Scotland to Aboriginal North America. Their life experience would have taught them to take little for granted and to see stability as only momentary and fragile. Such life experiences work against the ossification of thought, against the comforts of hegemonic knowledge, against disciplinary doxa. F) Charismatic idiosyncrasy: to fashion a new program of teaching and research, to give it both institutional form and make it a subject of public fascination, requires a certain amount of courage, a “nothing to lose” attitude. Published research on Wilson and Hale frequently alludes to their idiosyncratic qualities, the strong nature of their individual personas, and their tendency to launch themselves into the public arena (without becoming clown figures, retaining a very much dignified and serious posture). Points A–F above hardly constitute a “theory”. As a rough, working hypothesis however, these points find a great deal to learn from individuals who were not just the first anthropologists in Canada, but in some key respects the first anthropologists anywhere. The book, overall, is still very valuable, not to mention unique, which is why I use it as an assigned text in my graduate seminar. When I say that it is only book of its kind, it does not mean that there are no papers, theses, and out-of-print collections that broached similar topics as Historicizing Canadian Anthropology, even if lacking the same historical depth and institutional scope. Among these other works, which are not always easy to find, are: Ames & Freedman, 1976; Canadian Ethnology Society, 1977; Carroll, 1992; Cormier, 2004; Darnell & Gleach, 2007; Hancock, 2002; Handler, 2015; Harrison, 2010; Klymasz & Willis, 2001; Pendergast, 1976; and, Roby, 2004. Hale was not an “American-Canadian,” the way some authors like to claim, grudgingly holding onto the man. Canada did not have dual citizenship before 1977. Ames, Michael M., & Freedman, Jim, Eds. (1976). The History of Canadian Anthropology. Proceedings (Canadian Ethnology Society), no. 3. Ottawa: National Museums of Canada. Barker, John. (1987). “T. F. Mcllwraith and Anthropology at the University of Toronto 1925-63”. Canadian Review of Sociology, 24(2), 252–268. Canadian Ethnology Society. (1977). Applied Anthropology in Canada. Proceedings (Canadian Ethnology Society), no. 4. Hamilton, ON: McMaster University. Carroll, William K. (1992). Fragile Truths: Twenty-Five Years of Sociology and Anthropology in Canada. Ottawa: Carleton University Press. Cole, Douglas. (1973). “The Origins of Canadian Anthropology, 1850-1910”. Journal of Canadian Studies, 8, 33–45. Cormier, Jeffrey. (2004). The Canadianization Movement: Emergence, Survival, and Success. Toronto: University of Toronto Press. Darnell, Regna, & Gleach, Frederic W., Eds. (2007). Histories of Anthropology Annual. Volume 2. Lincoln: University of Nebraska Press. Hale, Horatio. (1846). Ethnography and Philology. Philadelphia: C. Sherman. ————— . (1881). Hiawatha and the Iroquois Confederation: A Study in Anthropology. Salem, MA: The Salem Press. Hamilton, Michelle A. (2006). “Iroquoian Archaeology, the Public, and Native Communities in Victorian Ontario”. In Julia Harrison & Regna Darnell, (Eds. ), Historicizing Canadian Anthropology (pp. 65–77). Vancouver: UBC Press. Hancock, Robert L.A. (2002). The Potential for a Canadian Anthropology: Diamond Jenness’s Arctic Ethnography. MA thesis, University of Victoria. ————— . (2006). “Toward a Historiography of Canadian Anthropology”. In Julia Harrison & Regna Darnell, (Eds. ), Historicizing Canadian Anthropology (pp. 30–43). Vancouver: UBC Press. Handler, Richard, Ed. (2015). Excluded Ancestors, Inventible Traditions: Essays Toward a More Inclusive History of Anthropology. Madison, WI: University of Wisconsin Press. Harrison, Julia. (2010). “Canadian Anthropology”. In Alan Barnard & Jonathan Spencer, (Eds. ), The Routledge Encyclopedia of Social and Cultural Anthropology, 2nd edition (pp. 100–102). New York: Routledge. Klymasz, Robert, & Bogdan, Willis, John, Eds. (2001). Revelations: Bi-millenial Papers from the Canadian Museum of Civilization. Hull, QC: Canadian Museum of Civilization. Nock, David. (2006). “The Erasure of Horatio Hale’s Contributions to Boasian Anthropology”. In Julia Harrison & Regna Darnell, (Eds. ), Historicizing Canadian Anthropology (pp. 44–51). Vancouver: UBC Press. Pendergast, James F., Ed. (1976). Anthropology and History Publications. Ottawa: National Museum of Man [and] National Museums of Canada. Roby, Nadja L. (2004). From amateur to professional: placing Harlan I. Smith in the history of North American anthropology. MA thesis, Carleton University. Ottawa: Library and Archives Canada. Trigger, Bruce G. (1966a). “Sir Daniel Wilson: Canada’s First Anthropologist”. Anthropologica, 8(1), 3–28. Trigger, Bruce G. (1966b). 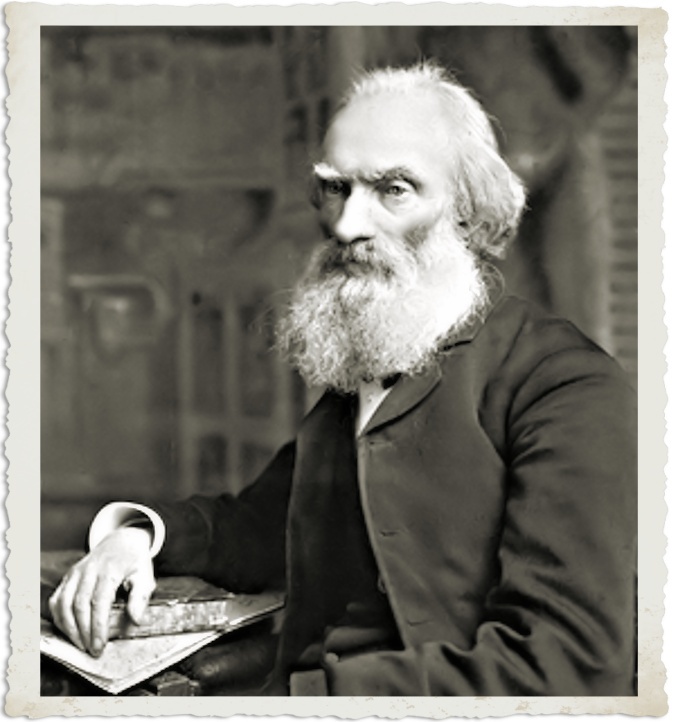 “Sir John William Dawson: A Faithful Anthropologist”. Anthropologica, 8(2), 351–359. Van Esterik, Penny. (2006). “Texts and Contexts in Canadian Anthropology”. In Julia Harrison & Regna Darnell, (Eds. ), Historicizing Canadian Anthropology (pp. 253–265). Vancouver: UBC Press. Wilson, Daniel. (1876). Prehistoric Man: Researches into the Origin of Civilisation in the Old and the New World, Volume 1 (3rd ed.). London: Macmillan and Co.
————— . (1885). “Anthropology”. The Humboldt Library of Science, no. 71, September, 1–33. Thank you for writing this account, uncovering a story that those of us trained in US anthropology do not know enough about. I’ve added it as a resource for a post on How Did Anthropology Begin? I definitely agree that it is extremely necessary to get away from presentist U.S.-centric ideas about anthropology. Thanks! “I was struck by your mentioning there is just one occurrence of the word ‘culture’ on p. 3 in Daniel Wilson’s Prehistorical Man, Vol. 1, which you had linked to your article. A few pages later (p. 8), Wilson claims that civilisation, which Wilson contrasts with domestication, is development. He writes: “It [development] is self-originated; it matures all the faculties natural to him; and is progressive, and seemingly ineradicable.” In this formulation, Wilson seems to suggest an alternative to the separation of the ‘biological;’ and the ‘cultural’ that informs a lot of thinking in recent decades. Biology and culture are seen as following separate yet parallel evolutionary pathways, according to such views (e.g. Sperber and Wilson cognitivist account or E. O.Wilson’s sociobiology). Moreover, the theory of evolution–the neo-Darwinist one–that informs such views essentially removes human agency from the processes of our own self-development (including the development of the other selves we care for). For neo-Darwinists, evolution, both biological and cultural, is the result of the interaction with coded information (genetic or cultural) with the environment such that organisms are the mere products of processes in which their own agency plays no role. I may of course be on the wrong track, but my quick and probably superficlal reading of the first few pages of Wilson suggests an early understanding of an alternative view–one that sees humans as actively involved in the processes that shape their development and evolution in ways that resonate with the work of evolutionary biologists such as Stanley Salthe, whose work has been important at various stages in my own intellectual development and whose work is a remarkable attempt to develop an alternative to the dominant neo-Darwinist myth that resonates so well with the ideologies of capitalism.